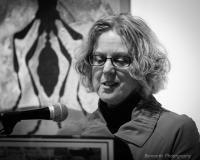 Donna Pucciani, a Chicago-based writer, has published poetry worldwide in such diverse journals as Istanbul Literary Review, Shi Chao Poetry, Poetry Salzburg, Agenda, and Journal of Italian Translation. A seven-time Pushcart nominee, her most recent book of poems is EDGES. "Remembering the Birds," "Giving His Body to Science," and "Now Florida"